God is equally near in all creatures. 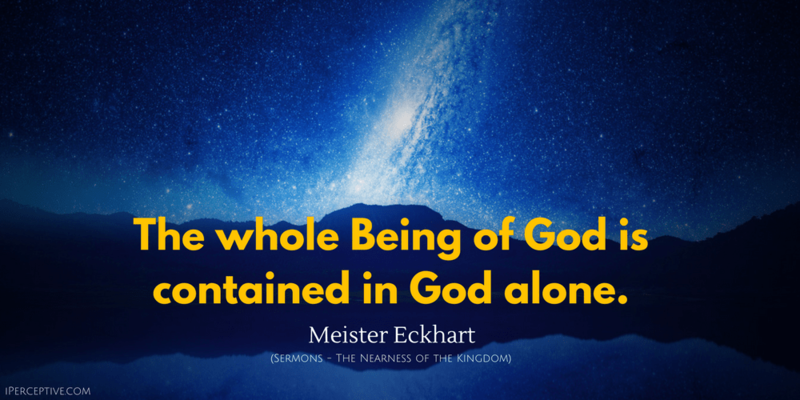 The whole Being of God is contained in God alone. Perfect humility tends to the annihilation of self. Therefore God must of necessity give Himself to a sanctified heart. God has remained from everlasting in immovable sanctity, and still remains so. Grace is from God, and works in the depth of the soul whose powers it employs. When the Divine Light penetrates the soul, it is united with God as light with light. Light causes flowers and plants to grow and bear fruit; in animals it produces life, but in men blessedness. It is more worthy of God that He be born spiritually of every pure and virgin soul, than that He be born of Mary. Although God is Almighty, He can only work in a heart when He finds readiness or makes it. He works differently in men than in stones. But here on earth man never attains to being unaffected by external things. There never was a Saint so great as to be immovable. I can never arrive at a state when discord shall be as pleasing to my ears as harmony. The man who is wholly sanctified is so drawn towards the Eternal, that no transitory thing may move him, no corporeal thing affect him, no earthly thing attract him. This was the meaning of St Paul when he said, "I live; yet not I; Christ liveth in me." The moral task of man is a process of spiritualization. All creatures are go-betweens, and we are placed in time that by diligence in spiritual business we may grow liker and nearer to God. The aim of man is beyond the temporal —in the serene region of the everlasting Present. All that God worketh and teacheth, He worketh in His Son. He yearns after us, and in the depth of His Divine Being waves of longing break forth, to reveal to us the abyss of His Godhead, and the fullness of His essence; He hastens to identify Himself with us. Herein He hath joy and gladness in full measure. God loveth men not less than He loveth Himself. If thou really lovest thyself, thou lovest all men as thyself; as long as thou lovest any one less than thyself, thou dost not really love thyself. That man is right who loves all men as himself. Three things hinder us from hearing the everlasting Word. The first is fleshliness, the second is distraction, the third is the illusion of time. If a man could get free of these, he would dwell in eternity, and in the spirit, and in solitude, and in the desert, and there would hear the everlasting Word. Our Lord saith, "No man can hear My word nor my teaching without renouncing himself." All that the Eternal Father teaches and reveals is His being, His nature, and His Godhead, which He manifests to us in His Son, and teaches us that we are also His Son. Again: If I am in a higher place and say to some one, "Come up hither," that might be difficult for him. But if I say, "Sit down," that would be easy. Thus God dealeth with us. When man humbles himself, God cannot restrain His mercy; He must come down and pour His grace into the humble man, and He gives Himself most of all, and all at once, to the least of all. It is essential to God to give, for His essence is His goodness and His goodness is His love. Schoolmen have often asked how it is possible for the soul to know God. 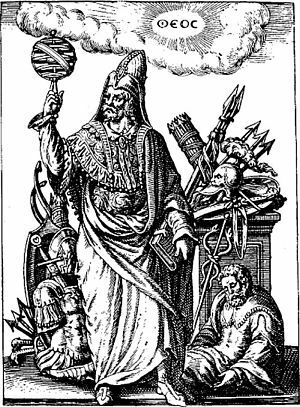 It is not from severity that God demands much from men in order to obtain the knowledge of Himself: it is of His kindness that He wills the soul by effort to grow capacious of receiving much, and that He may give much. Let no man think that to attain this knowledge is too difficult, although it may sound so, and indeed the commencement of it, and the renouncement of all things, is difficult. But when one attains to it, no life is easier nor more pleasant nor more lovable, since God is always endeavouring to dwell with man, and teach him in order to bring him to Himself. No man desires anything so eagerly as God desires to bring men to the knowledge of Himself. God is always ready, but we are very unready. God is near us, but we are far from Him. God is within, and we are without. God is friendly; we are estranged. The prophet saith, 'God leadeth the righteous by a narrow path into a broad and wide place, that is into the true freedom of those who have become one spirit with God.' May God help us all to follow Him that He may bring us to Himself. Amen. 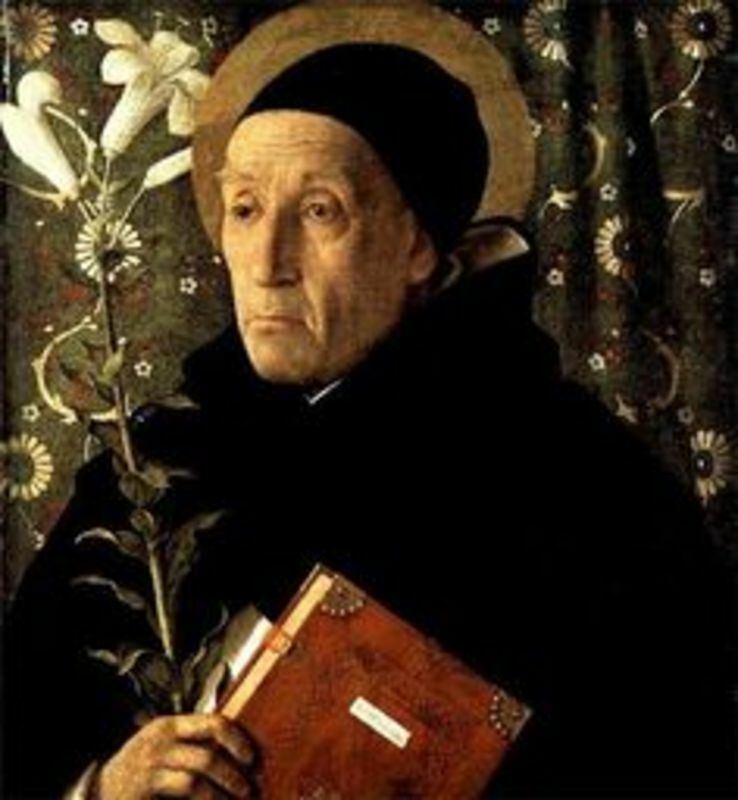 Meister Eckhart was a German philosopher, theologian and Christian mystic. He was and still is known and revered for his powerful spiritual ideas mediated through his influential sermons.